Big money for small savings: the mobile couponing app Ibotta, which lets consumers save money on grocery purchases, household goods, apparel, electronics and more, has raised $20 million in Series B funding, the company is announcing today. The lead investor in the round is Jim Clark, founder of Silicon Graphics, Netscape, and Healtheon/WedMD. He will now be joining the company’s board of directors, as a result of the new funding. Also participating in the round was Tom Jermoluk, previously of Silicon Graphics, @Home and KPCB. 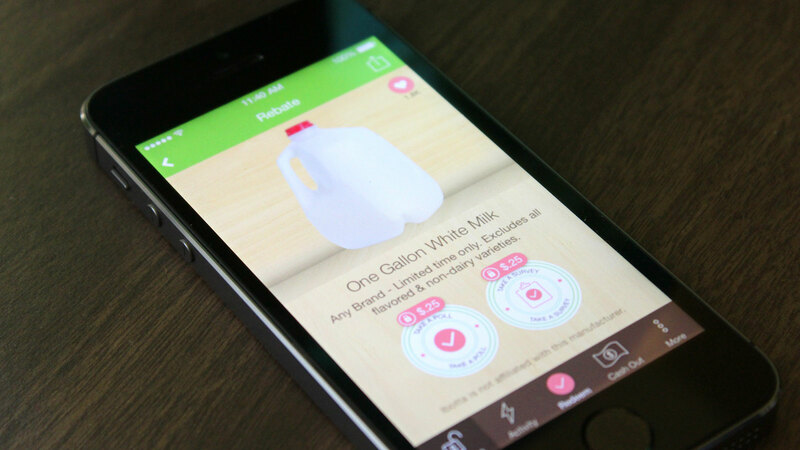 Ibotta, to remind you, began as a mobile couponing app that helped consumers save at the grocery store. Instead of “clipping coupons” digitally, the app has you engage with brands by answering a trivia question, or a single survey question, reading a fact, watching a video, or sharing on social media. For each action, you earn $0.25-$0.50, generally. After you claim your offers, you then scan the barcode on your items and snap a photo of your receipt to submit your claim. Although it sounds like a bit of work, it’s really not – I can say this as an Ibotta user myself with (disclosure!) a big ol’ cash balance of $8.25 waiting for me. And if you’ve ever actually clipped coupons the analog way (with scissors, that is), you know that can far more time consuming. Since its launch in 2012, Denver-based Ibotta has been expanding beyond grocery and consumer packaged goods (CPG) savings, and now works at a number of online retailers, plus offline stores and restaurants, like Aeropostale, Best Buy, GNC, Lowe’s, Home Depot, Toys R Us, Babies R Us, Chili’s, Quiznos, and several theater chains. The company has also grown its user base to 3 million, up from 1.9 million last November. These users tend to be Millennials, female, and ages 25-35, the very demographic that never buys a newspaper anymore, and definitely doesn’t want to clip coupons the old-school way. For CPG brands and other businesses, this changed behavior is the beginning of the end for how the brands are able to reach and market to their younger customers, and Ibotta is ready to step in to pick up the slack. Today, Ibotta claims it’s the 16th most frequently used application in the U.S. It now features offers by all 10 of the 10 largest CPG manufacturers, and has worked with over 500 key CPGs. To date, over 2 billion rebates have been viewed in the app, and users have completed 70 million brand interactions for a total of over $7 million in cash rewards, which are paid out via PayPal or gift cards. With the additional funding, Ibotta plans to scale its business and engineering teams, grown its user base, and expand its saving and offers into the offline affiliate market.